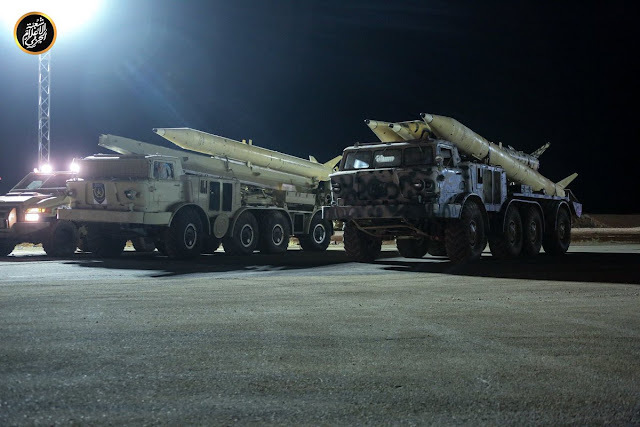 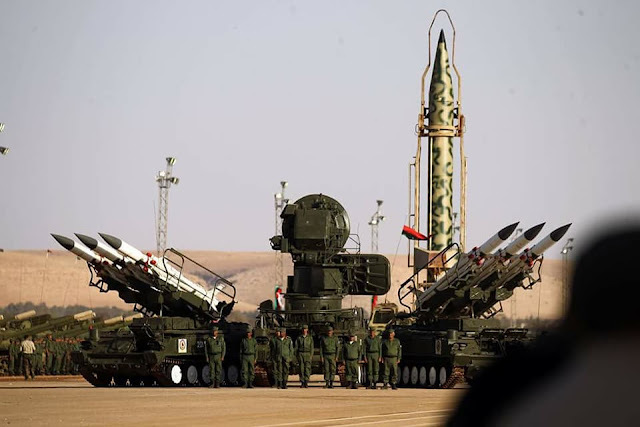 Libyan National Army has revealed a tactical Scud ballistic missile acquired from the Gaddafi era stockpile, during the anniversary of Al-Karama operation. 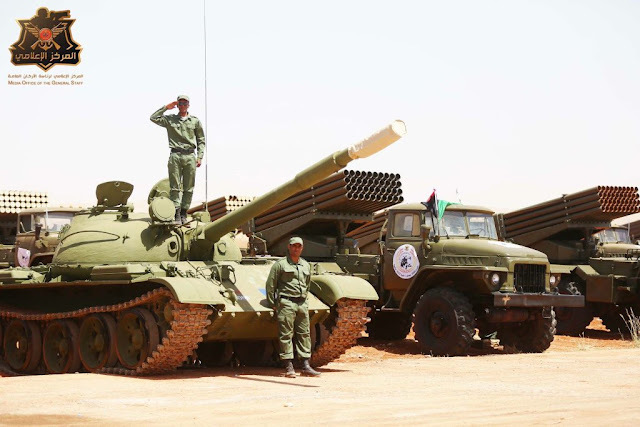 Designed during the Cold War, the Soviet era Scud-B missile were part of the former Libyan Army, with over hundreds in inventory. 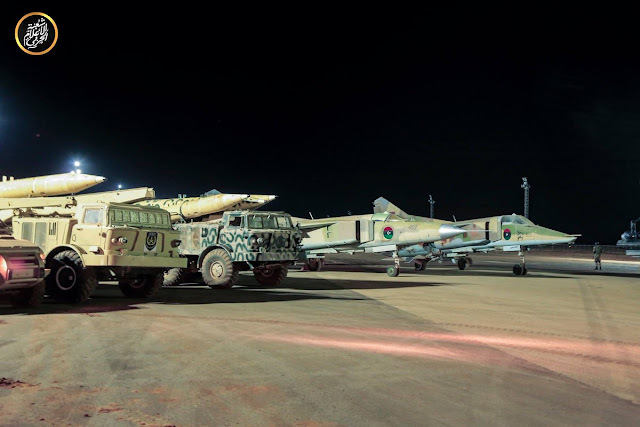 Several of these missiles were employed during the Libyan Civil War in 2011, against the anti-Gaddafi forces. 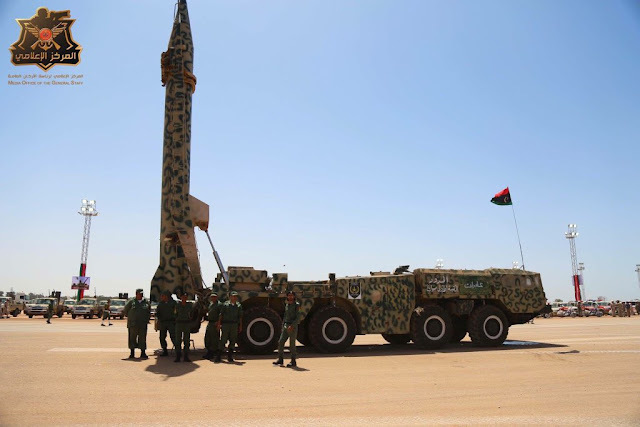 Considerable quantities of these unsecured weapons were left over following the civil war. 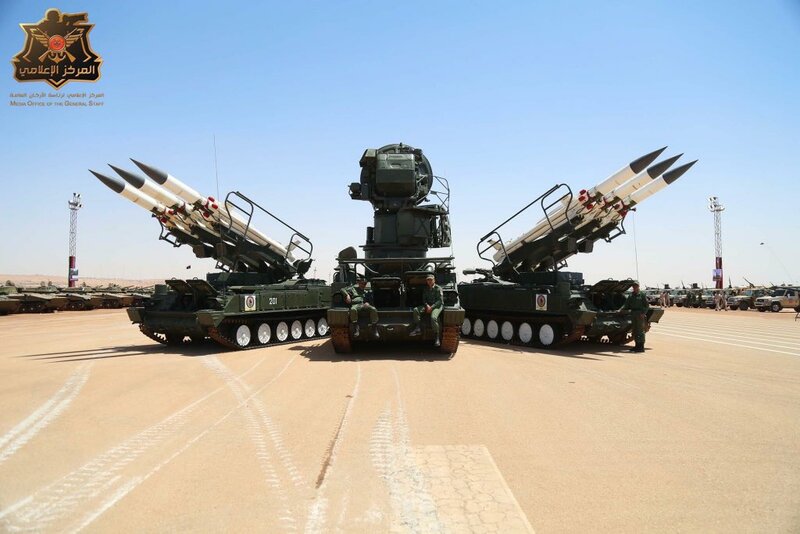 The 11-meter (33-foot) tactical rocket weighing 5,900 kg (13,000 lb), with a range of up to 300 km (200 miles) is carried on a mobile MAZ-543 8x8 wheeled transporter erector launcher (TEL) vehicle. The parade also revealed the 2K12 Kub/SA-6 Gainful surface to air missile (SAM) air defense system and its Straight Flush guidance, tracking radar, the 9K52 Luna-M FROG-7 Soviet artillery rocket with a range of 70 km, MiG-23 fighters and BM-21 Grad artillery rockets.